According to a press release from Amaya Gaming, Amaya´s CEO David Baazov has indicated an intention to buy the entire company and run it as a private entity. David Baazov´s “non-binding intention” to buy Amaya Gaming means that, not only will he be able to run PokerStars as a private company, but also the other brands associated with PokerStars (including BetStars and StarsDraft) and Full Tilt Poker. 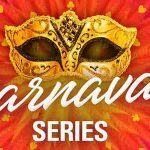 The proposal to buy out the existing shareholders for CAD$21.00 per share (c. $15.00), means that Baazov values Amaya Gaming at CAD$2.8 billion (c. $2 billion) – or less than half of what Amaya Gaming paid for PokerStars back in August 2014. At this moment in time, the “non-binding intention” is not a formal offer, but Amaya Gaming has already announced it has established a special committee to review Baazov´s proposal, and any other proposals that may be forthcoming. As soon as Amaya Gaming had issued its press release, speculation started about Baazov´s motives for wanting to buy a company that has seen its value plunge in the past two years. Some observers believed it was a move to appease angry shareholders – which worked, as the company´s shares have jumped 25% in value since the announcement was made. Other observers feel that Baazov buying out Amaya to run PokerStars as a private company would prevent future hostile takeover bids, while it has also been speculated that running PokerStars as a private company would take the pressure off the CEO to fulfil short-term obligations to shareholders and enable the privately-controlled Amaya to run PokerStars as it was when the Scheinbergs were in charge. 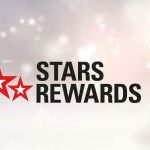 Writing on LinkedIn, Alex Dreyfus – CEO of the Global Poker Index – believes that, if the purchase of Amaya Gaming by David Baazov went ahead, it would be the best possible outcome for PokerStars. He suggests that Amaya´s debt obligations and appeasing its shareholders has prevented the company from investing in its long-term growth. As ever, the News, Views and Gossip pages on the popular 2+2+ forum were a good source for less feasible speculation. Among the many suggested motives for David Baazov´s “non-binding intention”, personal profit was the most popular – with plenty of contributors suggesting that he could buy the company while it was under-valued, and then re-float it a couple of years at a healthy profit. 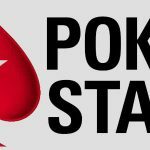 Other “out-of-the-box” suggestions included that, by running PokerStars as a private company, the world´s largest online poker site would not be under the same scrutiny as a public company. As it already operates in several major “grey” areas (Canada, Australia, Russia, etc. 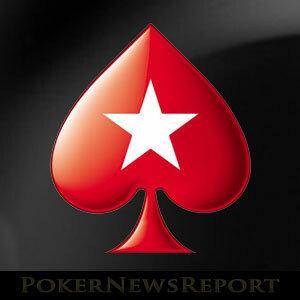 ), Baazov could move PokerStars to the Cayman Islands and provide an unregulated service to players in the U.S. It was also suggested that PokerStars´ players should withdraw their bankrolls en masse, force down Amaya´s stock price even further, and then use their bankrolls to purchase the cheaper shares and take control of the company. The success of this proposal probably depends on players such as Phil Ivey chipping in with a couple million of their own. Or, in other words, Full Tilt Poker V2! The Baazov “intention” is likely to stir up significant interest from other financial institutions. A price of $2 billion for PokerStars compares favourably with the $1.72 billion GVC paid for Bwin.Party last year and, with the potential for an expansion of regulated poker in the States, an investment of $2 billion could pay substantial dividends in the long term. As with most takeovers of this size, nothing is likely to happen in the short term. Once the special committee has reviewed Baazov´s proposal – and any others that may be presented – the deal still has to be accepted by Amaya´s shareholders and the appropriate regulatory agencies. Furthermore, as the intention is non-binding, Baazov could change his mind at any minute. Much will depend on how the company´s share price performs over the next couple of weeks and months.